Democracy is a social system that is based on the participation of the members of a society or institution in its government. 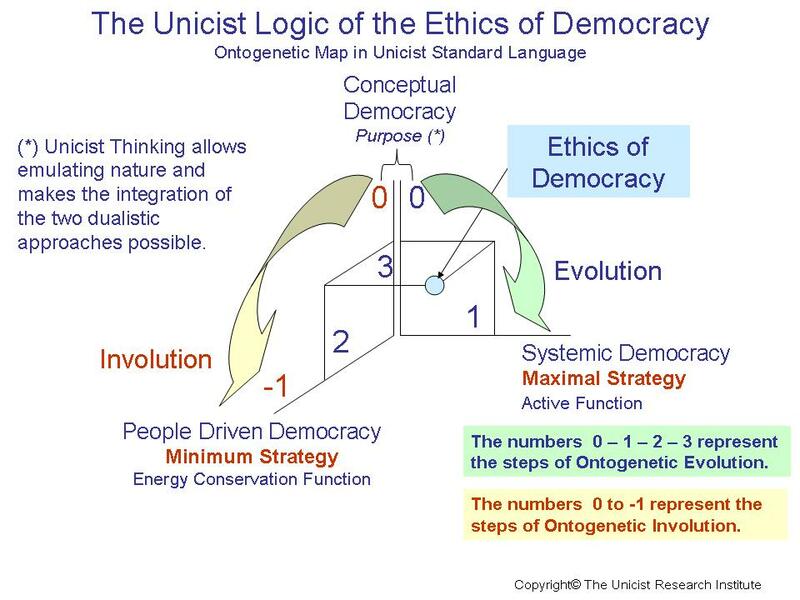 Democracy is a system that has a natural structure, which includes mechanisms that drive its evolution or involution. 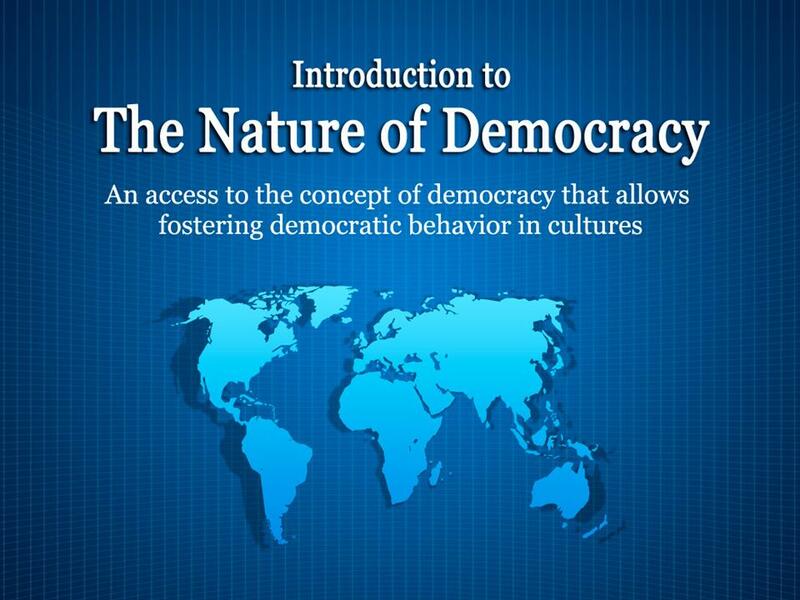 To understand the nature of democracy it is necessary to define that democracy is a system to deal with the domestic aspects of a society or institution. It adopts many shapes depending on the environment. Civil, military and religious environments have different ways to achieve consensus and thus democracy behaves differently in each one of these environments. 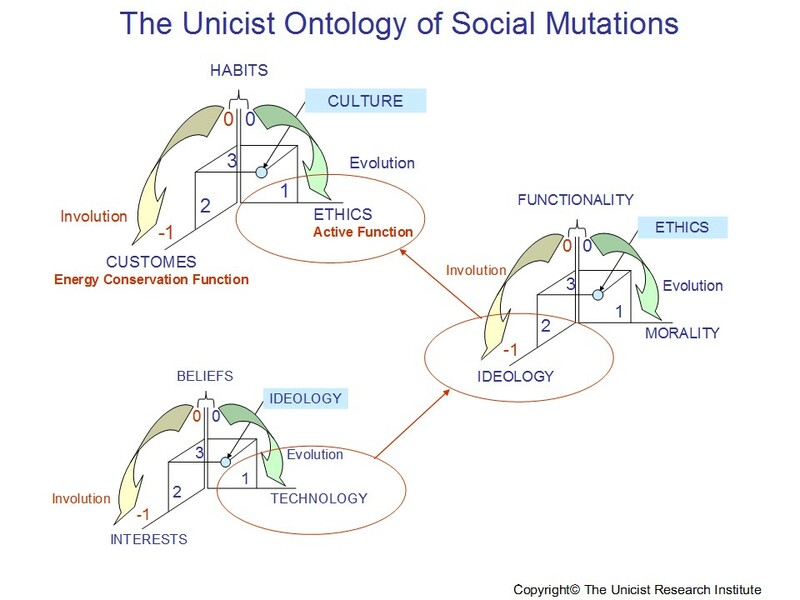 Understanding the nature of a society implies integrating a social scenario that defines the structure of social behavior, an economic scenario that deals with their materialistic aspects and a political scenario that deals with the establishment and administration of the ideologies and rules the members have to follow in order to be accepted as part of the community. Thus, democracy has three integrated structures that define it; democracy includes a social, an economic and a political democracy. A democratic process necessarily begins with the existence of a social democracy. The principles of the French Revolution are an example of social democracy. “Liberty, equality and fraternity” represent those values that are implicit in democracy considering the characteristics of the French archetype. Democracy is built upon the social democracy of a society or institution. The economic democracy is the materialization of the social democracy in an environment. The triadic structure is then completed by the political democracy, which sustains the social democracy avoiding that the economic democracy changes the nature of the social democracy that represents the archetype of the culture. The constitution of a country is the materialization of the social democracy of its society and establishes its basic rules. This means that when countries change their Constitutions they are making a re-foundation, which necessarily implies the destruction of what exists, and the building of something new, which implies a change in their archetype. Constitutions should only be amended in order to respect the nature of the culture. Social democracy can be defined as the integration of cooperation, participation and competition. The principles of the French revolution – liberty, equality and fraternity – are an example of a conceptual structure of the social democracy of a culture. Every culture has its archetype that implicitly defines the structure of the social democracy, which drives the democratic system. 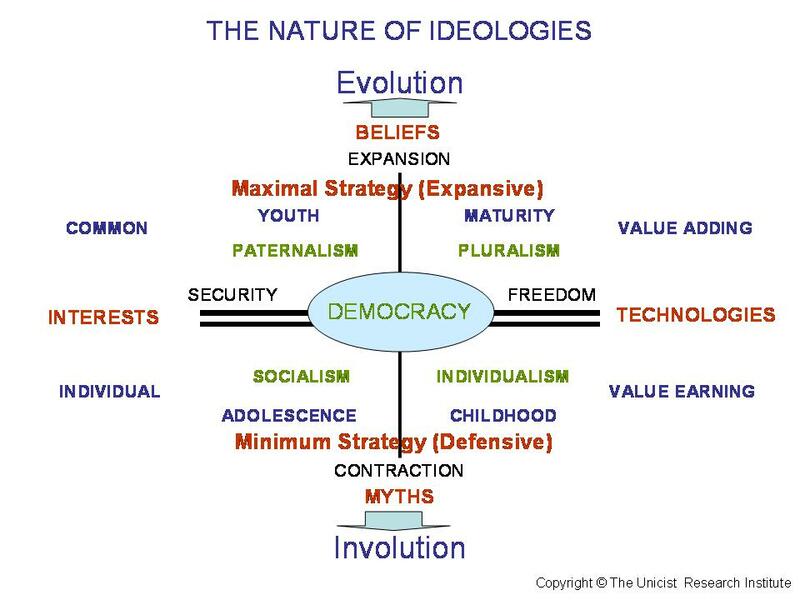 Cultures that have an archetype that is still in transition cannot establish a fully democratic environment, because their social democracy is unstable and changing. A democratic system naturally evolves or involves. 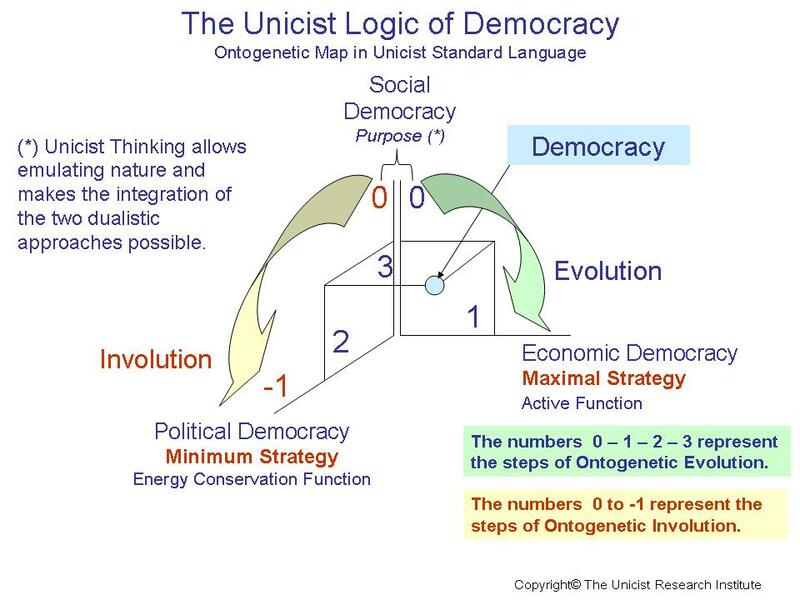 Its evolution is driven by its maximal strategy, which is given by the economic democracy. Economic democracy exists when the productive entities of the environment are owned through the participation of their clients. In this case, clients and shareholders are “one”. 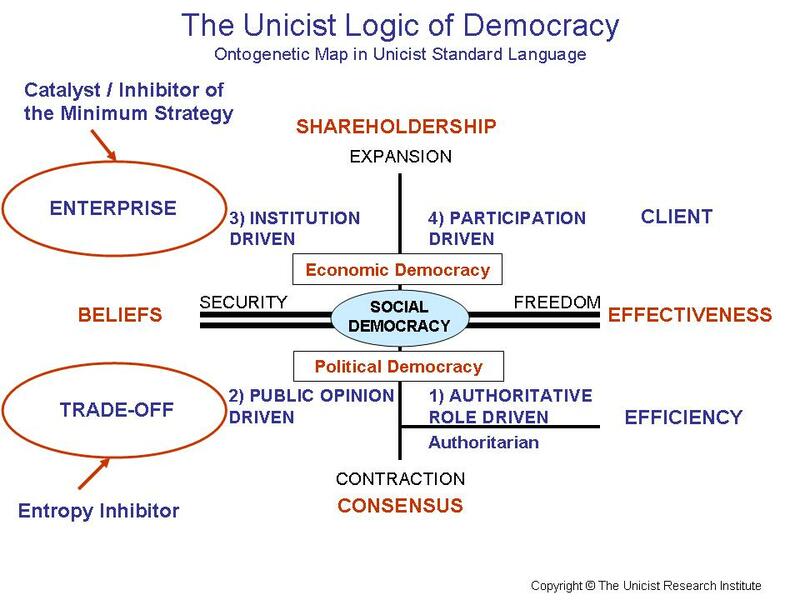 Economic democracy implies that the stock market integrates clients with shareholders and the market regulates the benefits of the entrepreneurs who do not participate in the stock markets. The values implicit in the economic democracy are redundant with the values of social democracy while “enterprising” drives competition to an institutionalized superior level. In an economic democracy, the concept of shareholdership is redundant with cooperation, while the actions of the clients are a way of participation. Depending on its presence or absence, Enterprising can either be the catalyst or inhibitor of democracy. Democracy cannot evolve without an institutionalized economic activity. This institutionalization needs to include rules to manage both enterprising and entrepreneurial activities. 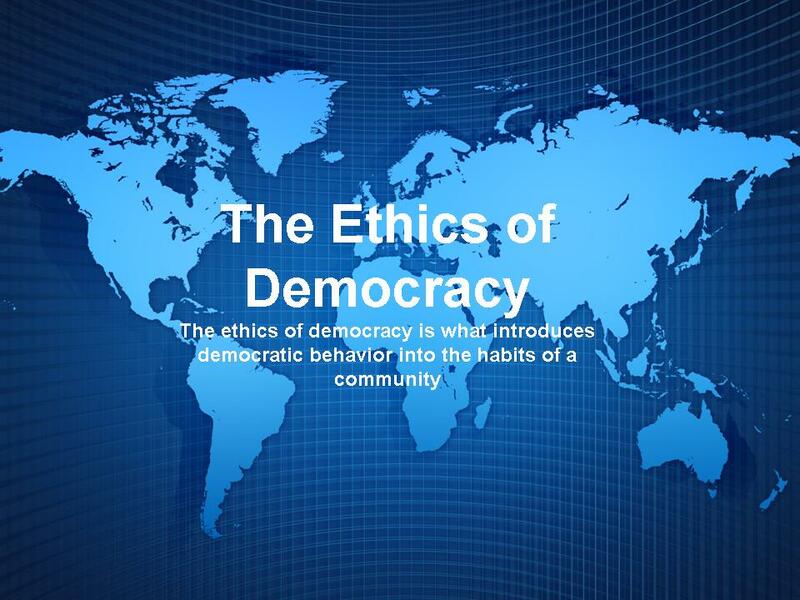 When social and economic democracies are given, the existence of a political democracy becomes necessary. Political democracy implies that governmental actions have consensus among the members of a society, that they are efficient in terms of fulfilling their expectancies and that the necessary trade-offs are made to ensure that consensus and efficiency become possible. Consensus does not imply efficiency and vice-versa. Therefore, trade-offs are the necessary entropy inhibitor that allows developing political democracy. The risk of this entropy inhibitor can be seen in two extreme situations: on the one hand, when trade-offs are not used, they work as political inhibitors and, on the other hand, when used in extreme conditions, they drive towards corruption. Political democracy establishes the limits of actions of economic democracy in order to ensure the achievement of the goals that are implicit in social democracy. It requires, as a basic condition, the separation of governmental actions from State actions. Governments are in the hands of politicians who necessarily tend to be focused on elections, which drive them naturally to satisfy the short-term needs of the voters. This drives political democracy towards the inefficiency of “following the needs of the participants” without integrating the long-term possibilities and the needs of the following generations. State administration is in the hands of officers who need to be focused on fulfilling the goals established using the procedures of the administration. Their goal is to make the administration of the public affairs effective and provide the actions that ensure the long-term objectives of the cultures. The State action needs to be trans-governmental, which means that it has to fulfill its goals beyond the circumstantial needs of a government. When governments invade the organization of the State, there is no possibility to develop an evolutionary democracy. In the research on the nature of democracy, four levels of adaptive democracy have been discovered together with one over-adaptive level that deals with authoritarianism, which uses manipulative actions to achieve consensus. Democracy implies that people share a vital space and have a strong social capital and that there is a democratic alternation. The first level implies that people who have the necessary qualifications occupy the leading roles in a community. This level of democracy implies having a reliable system to ensure that those who achieve the role have the necessary talents to administrate the community’s interests. The role of the State organization is basic to ensure the effectiveness of this level. This level includes the first level plus the characteristic that the public opinion prevails over the opinion of the politicians. It requires monitoring these opinions and making governmental actions transparent in order to allow people to understand what is happening. The weakness of public opinion is the long-term aspect of decisions, which is basically not considered in massive behavior. The role of the State organization limits the influence of public opinion to ensure the functionality of the administration in the long and short term. This level includes the second level plus the characteristic that the social, economic and political actions are institutionalized. It implies that the social, economic and political agents participate in the governmental decisions through the institutions they belong to. It implies a structural democratic organization of the political parties in order to ensure that the democratic alternation provide a structural approach to the public affairs. It implies that the gap between alternating parties is small enough to allow a transition that does not drive to the annulment of the decisions of preceding governments. 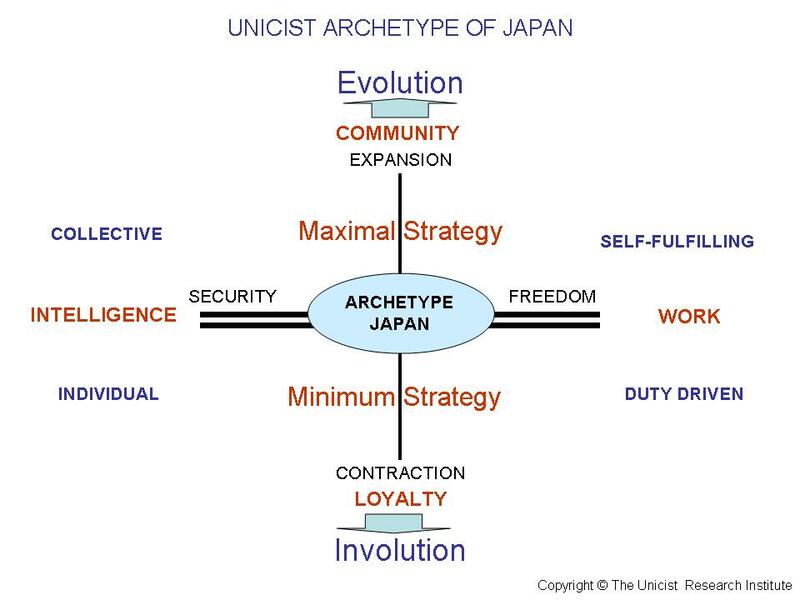 This level includes the third level plus the organization of the direct participation of people in all the aspects that deal with their need to have a real vital space where they can evolve. This participation implies that the leaders assume a full responsibility for representing the interests of the community in their proposals. This level drives cultures towards a superior level of influence in the environment. Thus, it requires that all the conditions to live in an evolutionary democracy be given. Importing political democracy from more democratic cultures only drives to the corruption of the preexisting system and the installation of a dualistic democracy in order to avoid anarchy. 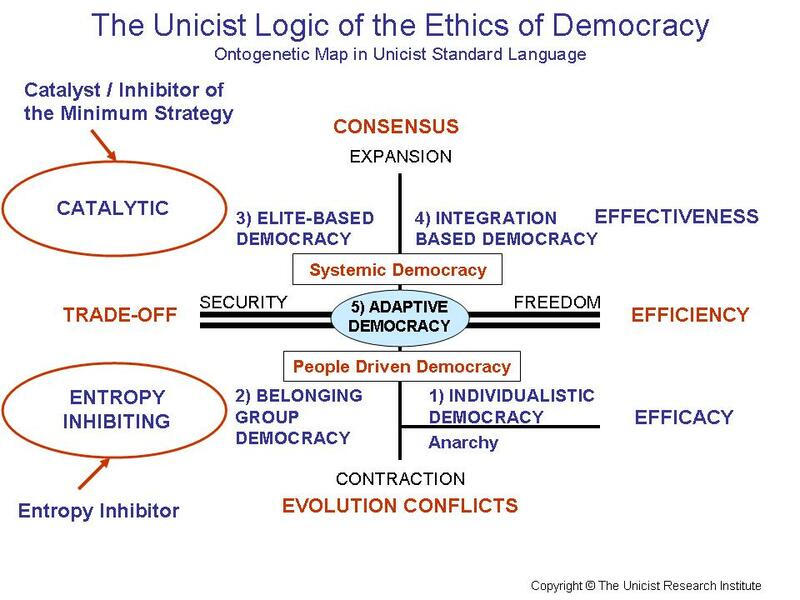 As it was presented in the research, the dualistic democracy has two extreme alternatives: populist / leftist democracies and liberal / rightist democracies. When democracy needs to be upgraded, it is necessary to begin by developing social democracy, which requires beginning with education. 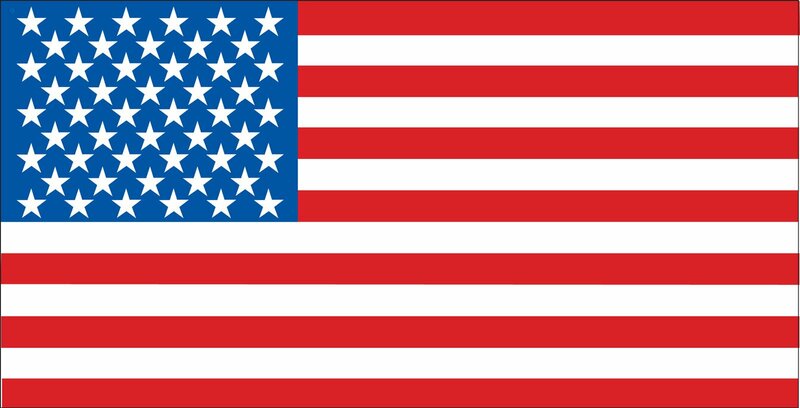 Democracy implies freedom and freedom implies responsibility. Based on social democracy, the next step to upgrade democracy is to install a superior level of economic democracy, which will then drive naturally towards the need of a political democracy. This implies a spiral step-by-step evolution that demands generations. The conflicts that arouse in Brazil are predictors showing that a cultural change is happening in the country. This change, transforming a developing country into a global leader is the consequence of a long term planning that unavoidably has negative side effects in the short term. The social conflicts in Brazil are the consequence of the new World-leading role of the country and the need to avoid leaving people behind or disoriented. The social conflicts that arouse are “explosions” and not “implosions”. Explosions occur when the conflicts are the consequence of an expansion of a country and implosions are the consequence of contraction. The explosions occurred and will occur because people need to feel included in the benefits this new role produces and consider unfair that the benefits are not noticeable in everyday life for everyone. 25 years ago we presented in Brazil the future trends which considered that the country would become a world leader within the next 50 years. The assumption of a world leading role is happening now and the unavoidable side effects are becoming observable. It has to be considered that 25 years ago Brazil was considered as a world champ in Carnival and Football (Soccer) while the institutional power of the country was not noticeable. During the last 10 years almost 40 million people accessed the middle class in Brazil. This is a structural change that modifies the economic, political and social scenario. This implied upgrading the social power and generating new expectations that require Brazil to become a brand in the globalized world. Without becoming a global brand Brazilians middle class is endangered. Petrobras and Embraer are just examples of flagships in the process of installing “Made in Brazil” as a brand in the world. This implies a long term investment that unavoidably leaves people behind until they, or the next generation, have the possibility of catching up. The organization of the FIFA World Cup and the Olympic Games are a way to demonstrate the power of “Made in Brazil”. They are a demonstration of technology, organization capacity and institutionalization. 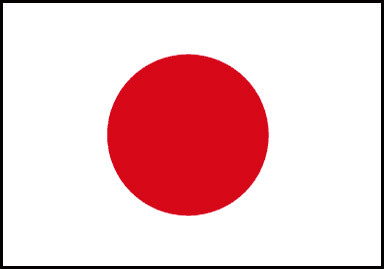 They might be the final step for the global positioning of the Country. That is why they generated many internal and external enemies. Those that are left behind and those affected by the uncertainty this leading role produces in Brazil, necessarily generate conflicts to demand justice and participating in the benefits of the new role. These conflicts have aspects in common with the conflicts in Turkey although they are not homologous with them. They are the opposite of the conflicts that occur in Spain and Greece which are based on the action of the “excluded” and the “impotent” who cannot influence the contraction of the environment. Brazil is a world in itself. There is no other country in the world following the rules of the game that Brazil uses, nor portraying its results in the social, economic and political field. Its orientation towards the future, the added value work as a way to assert people’s identity, its innovation and nationalism are components that integrate in light of a national project inserted in the culture, executed by the State and managed by politicians. Brazil has a culture that operates on the basis of consensus. This generates, within the social, institutional and individual field a need to understand a reality before taking up a position regarding it. Likewise, in Brazilian-Portuguese language there are several expressions that help avoid the usage of the first person singular in a conversation. The Brazilian consensus model presupposes the development of a singular negotiating capacity regulated by negotiation rules that obviously include consensus as a goal, though not as a path. The development of this negotiating capacity, based on a culture that came over to colonize rather than predate, generated what today is a world power, real to many, incipient to others. This implied the end of economic, military or narco-terrorism. The end as far as social legitimacy goes, though not in real terms, for there will always be terrorists who, being marginal, would rather have destruction than acceptance of their own marginality. This social behavior is based on expansion as a main objective. The creativity to accomplish this allows Brazil a dosage of “marginal” behavior, basis of both academic and technological innovation which is felt today and which was dreamed of 50 years ago. A country’s development is set by its social capital, political consistency or stability and economic growth. Out of these three elements, the one that bears most weight is social capital, then comes political stability and last, the necessary, though of least relative weight, economic growth. Brazil is characterized by its immense social capital if compared with that of other countries in the region, and if compared with those other countries Brazil competes with. Its difference is outstanding in the region; Brazil has a slightly smaller social capital than the one in developed countries. Society conceives itself as a community. This community feeling makes the notorious synergy there is among institutions and people possible, while it works as a significant support to political stability and economic growth. What characterizes Brazil is its orientation toward the future and its great capacity to pay for the price of mistakes. There are many study centers in this country that are devoted to developing projects, action plans and forecasts of what lies ahead. This is completely atypical in Latin America, that is why one can say that Brazil is a continent in itself, with own values and a path different from that of the region. It grows because of its consistent investment in an academic technology model of its own, an acceptance of diversity and an “expansion compulsion”. 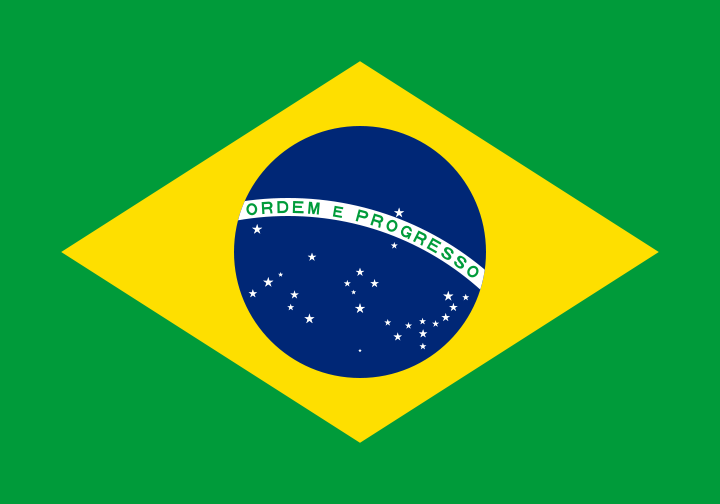 There is room for everyone in Brazil as long as the rules of the game are abided. Brazil is a power with a very strong collective unconsciousness that consolidates in an identity that goes beyond political ideologies. Consensus to grow is their primary objective, their second objective is to grow, and their third as well. Brazilian culture does not conceive the idea of being worse today than it was the day before. That is why Brazilians “go crazy” in light of their defeats. Diplomacy, the mechanism to influence outside Brazil in order to uphold such a growth, is settled, and carries a political, commercial and social sense comparable to those of the best diplomacies in the world. Diplomacy is its main tool to create, almost imperceptibly, a legitimated hegemony in its capacities. 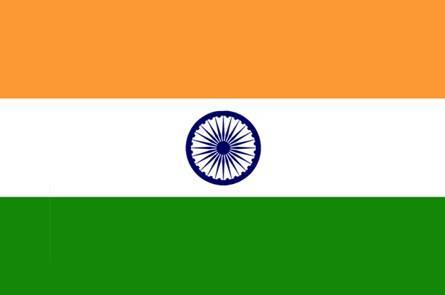 India became a global power based on the mind power of its culture. This mind power is what drove the country to the present phase and allowed beginning with the next stage, which is the installation of “Made in India” as a catalyst for economic expansion. This implies a new re-creation that is on-going and generates the inclusion of India in the few countries of the world that have an accepted cultural brand. In the case of India, this re-creation is based on the mind power of the culture but includes its transformation into products that are beyond low value or hygienic products. This change will demand some decades until the culture will have materialized the mind-power into internationally recognized products associated with their origin. A core characteristic of Indian culture is its collective intelligence. 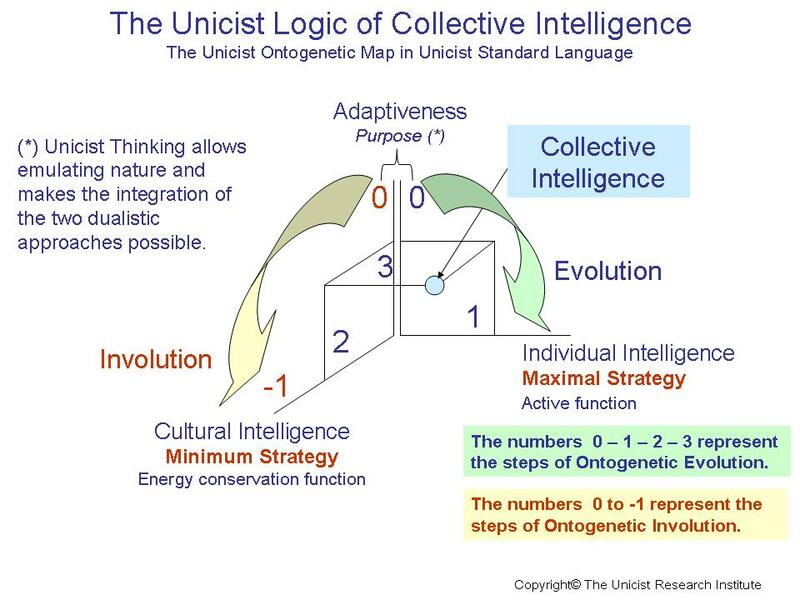 The culture promotes individual intelligence to foster adaptiveness. Adaptiveness is a core aspect of the culture. There are segments that adapt in a dynamic way to the environment and others that over-adapt in order to survive. 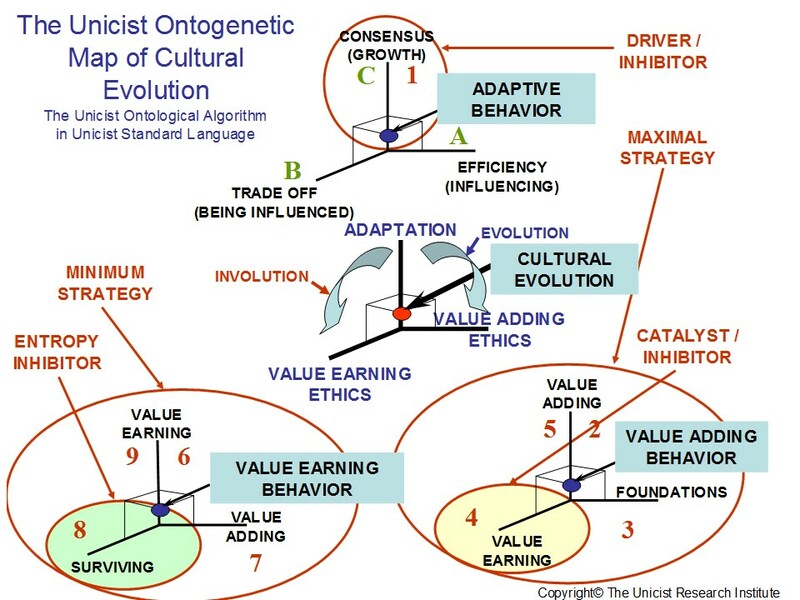 Cultural intelligence is based on the focus on change to grow in controlled environments within the limits of the lifestyle of the segment an individual is part of. 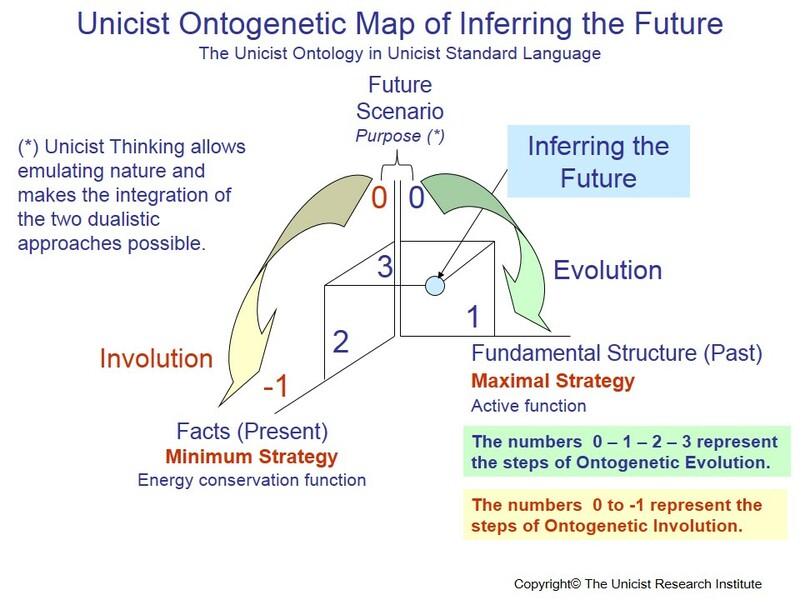 This provides a powerful context that allows expanding the boundaries using individual intelligence as long as the institutional rules of the context are respected. This characteristic of collective intelligence makes India a notorious “intelligence provider” of the world. The archetype of India is driven by the collective intelligence of Indians, which is materialized in a superior mind power that makes the country one of the leaders of the world. India is a notoriously institutionalized culture that is organized by stable roles that allow growing with a relatively minimal level of conflicts. These roles have ancestral origin and are materialized in social segments that evolve within the self-imposed limits of the groups. It can be said that knowledge is the essential power of the Indian culture. That is why it is the driver of social mobility and makes Indians world leaders in all those fields where knowledge establishes the value of what needs to be done. 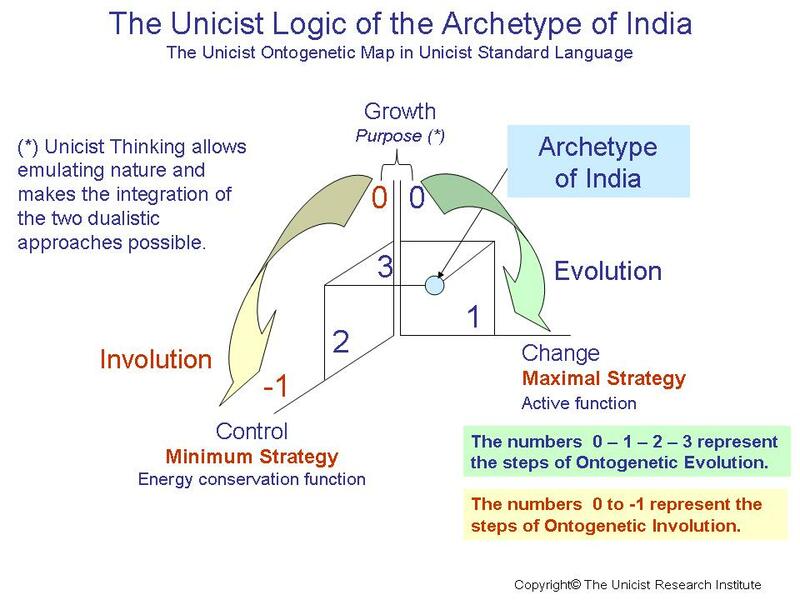 The maximal strategy is driven by the capacity of Indians to re-create based on a superior vision of what is happening in the environment while having the necessary power to destroy the preexisting aspects that are dysfunctional for the new stage while using the power to re-create. 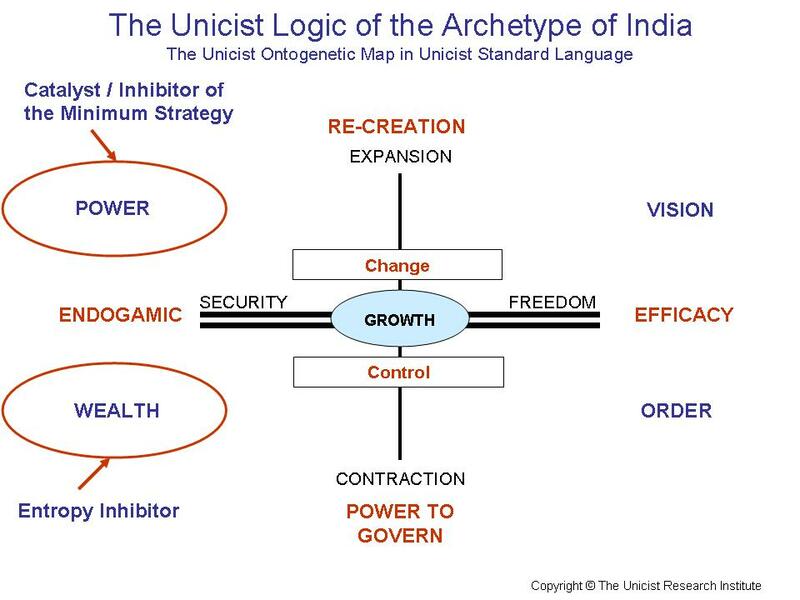 Power is the catalyst of Indian’s archetype and, as such, it is the core aspect that is acted out by the elite. The elite in India is such because it assumes the responsibility for empowering the evolution of the mass. It has to be considered that India has an elite that assumes the responsibility for making the culture evolve while empowering collective intelligence. Re-creation is the core characteristic of the Indian culture that allows expanding the boundaries and evolving. The core aspect of an institutionalized culture like India is the capacity and power to govern in order to allow the evolution of the different roles and avoid annulling conflicts. 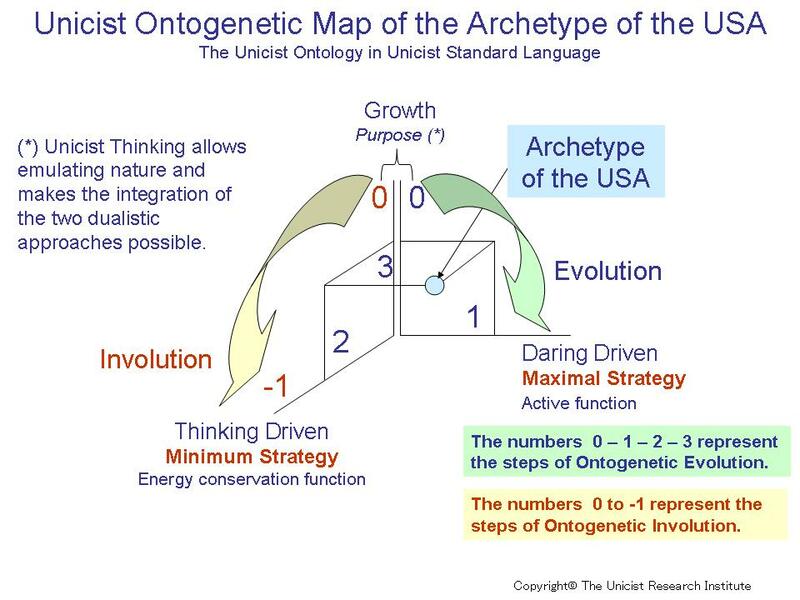 The minimum strategy of the archetype is given by the acceptance of a functional order that fosters evolution while inhibiting disorder and chaos. This implies the existence of protective organizations that provide the framework for this order. 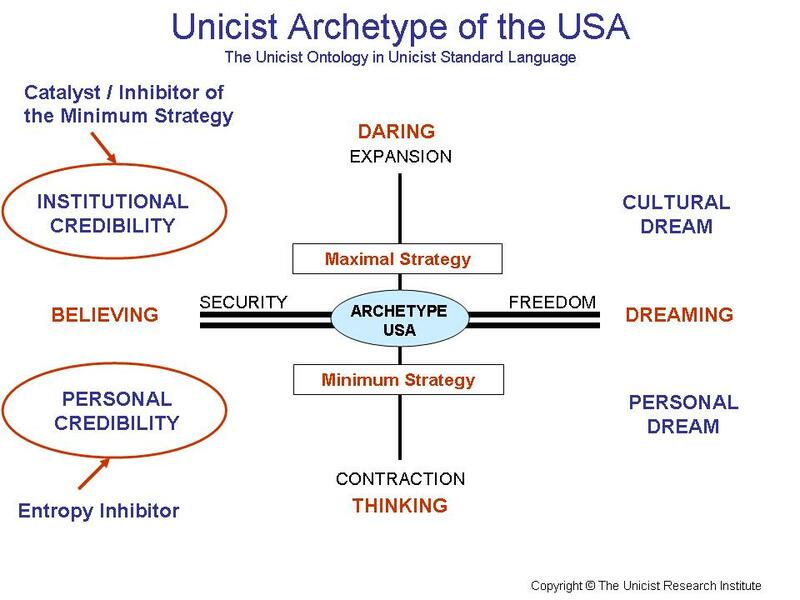 The entropy inhibitor of the archetype is given by the satisfaction of the materialistic needs of the different roles of the culture. That is why the different aspects of wealth are a core aspect of the Indian culture. This makes the culture develop a proactive attitude towards the development of economic activities. The institutionalization of India hinders the existence of significant conflicts produced by the people who are affected by the changes. The conflicts of the change towards becoming a leading power in the world are being managed based on trade-offs that are made to pay the prices this evolution produced in the short term. 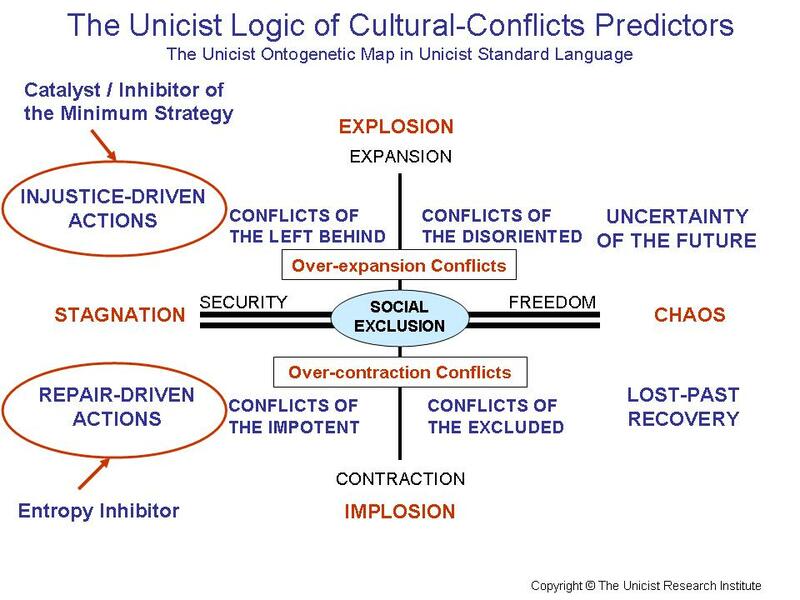 These conflicts produce explosions or implosions. The excluded and the impotent promote the implosion of the change in order to go back to the previous situation and the comfort zone that was implicit. They foster active inaction in order to annul the changes that are happening. The left behind and the disoriented perceive that they cannot manage the change and that they lose their comfort zone which makes them oppose to the changes. 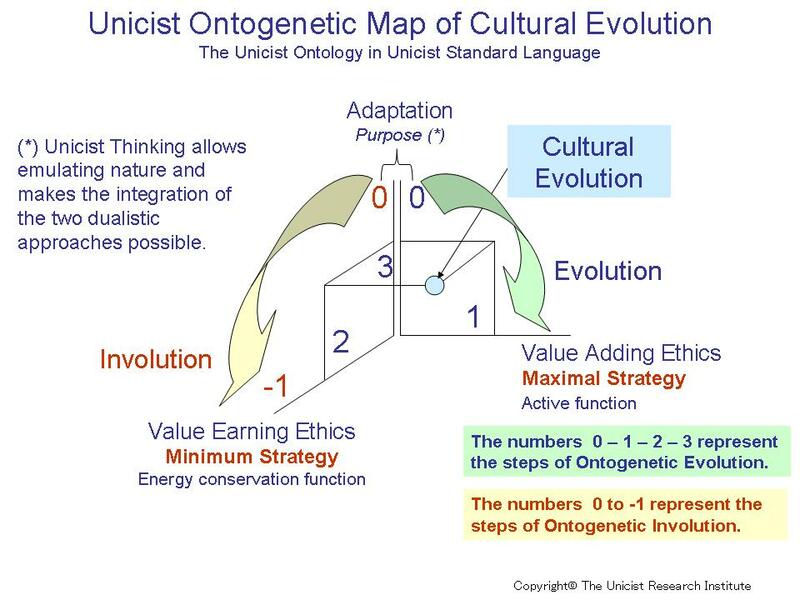 The Indian culture is based on continuous re-creation, which minimizes the conflicts because they are a natural pathway for their cultural evolution. Notwithstanding, small explosions and implosions are natural and will happen when asynchronisms of actions generate unbearable disequilibria in some segments. India is a world leading power that is entering a new stage. The prices to be paid are high because the comfort zone of several segments is being affected. This re-creation accesses the world scenario in times where the existence of multiple leading poles is accepted and evident. Therefore, there are no external enemies for this development, just competitors. The unique enemies are the internal members who feel their comfort zone affected. 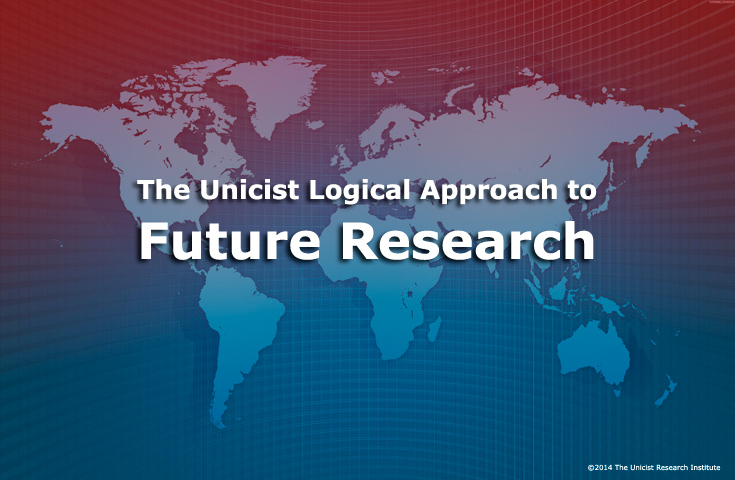 The Future Research on Brazil was developed at the Future Research Lab of the Unicist Research Institute and led by Peter Belohavek. 25 years ago we presented in Brazil the future trends which considered that the country would become a world leader within the next 50 years. The assumption of a world leading role is happening now and the unavoidable side effects are becoming observable. 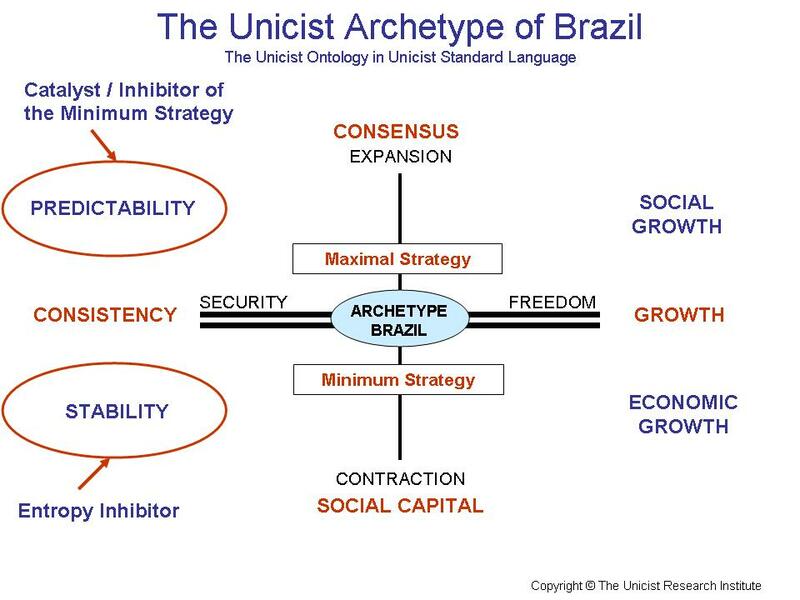 In the following we include the information on the Brazilian archetype which has been published recently:These conflicts have aspects in common with the conflicts in Turkey although they are not homologous with them. They are the opposite of the conflicts that occur in Spain and Greece which are based on the action of the “excluded” and the “impotent” who cannot influence the contraction of the environment. The social conflicts that arouse are “explosions” and not “implosions”. 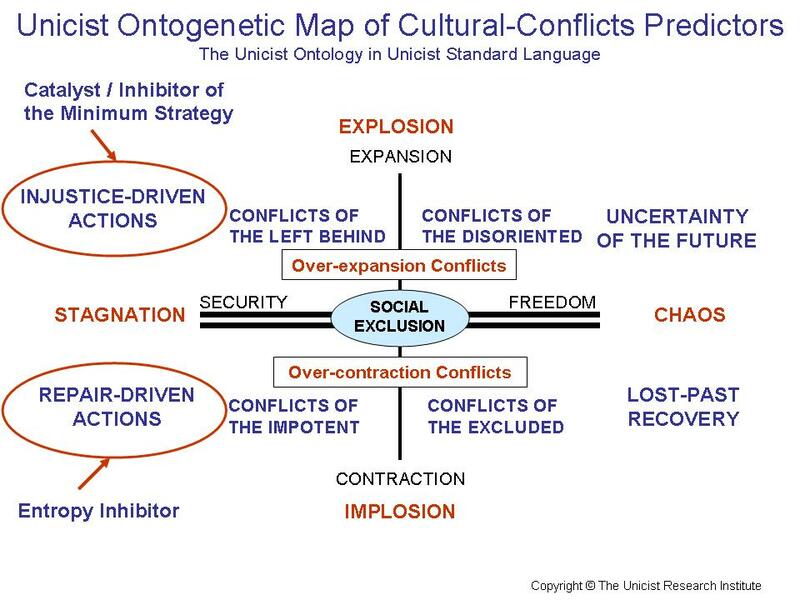 Explosions occur when the conflicts are the consequence of an expansion of a country and implosions are the effects of persistent contractive actions.